The WHLAXLE1A axle is a FLANGE style axle made of 2024-T351 AL alloy. This axle has a 1.25 inch diameter bearing surface. The axle has 1.375 inch spacing between the four 0.257 inch bolt holes on a 1.944 reference circle. 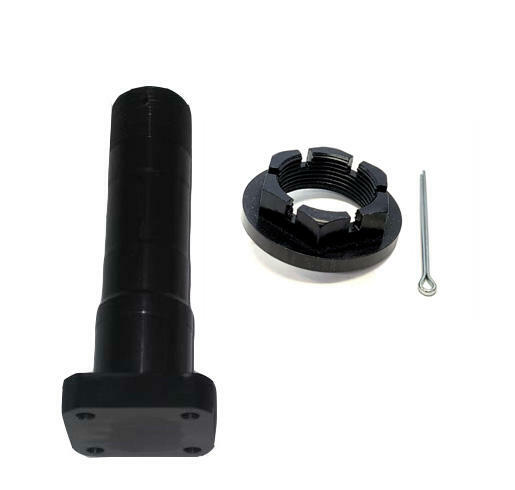 This axle assembly comes with the AN1 axle nut. Axle assembly includes for the WHLW51LT, WHLW51LXT, WHLW50LT, WHLW50LXT, WHLW51LD, WHLW51LD. Includes axle, nut, and washer.